And trying to incorporate more color and light. I’ve painted these recently and love the way, in both, the light is captured and reflected in a myriad of colors. 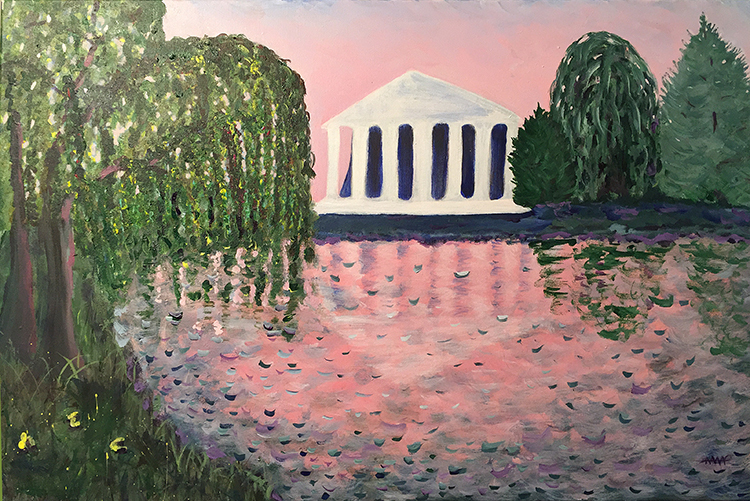 The one to the right, The Parthenon at Nashville’s Centennial Park, is from memory of my time taking art classes at the Historic Art Studio there on the park’s grounds. My husband claims he’s never seen a sky that brilliantly pink, and maybe he’s right. I know here in Florida I see sunrises that lush and think I recall such glowing skies in Tennessee too. If not, well, then, consider it artistic license and too bad! If you love this and want to purchase the original, email me. If you’d like a copy, either in print or canvas form, as a decorative pillow, duvet, bag or even a shower curtain, jump over to this link where those and many other products are available. This one, “City by the Sea,” is of a fictional place in my memory of time spent in the south of France on the Mediterranean. I wasn’t there long, but it sure left a wonderful impression on me. Like the one above, you can purchase prints, other items from this image here. 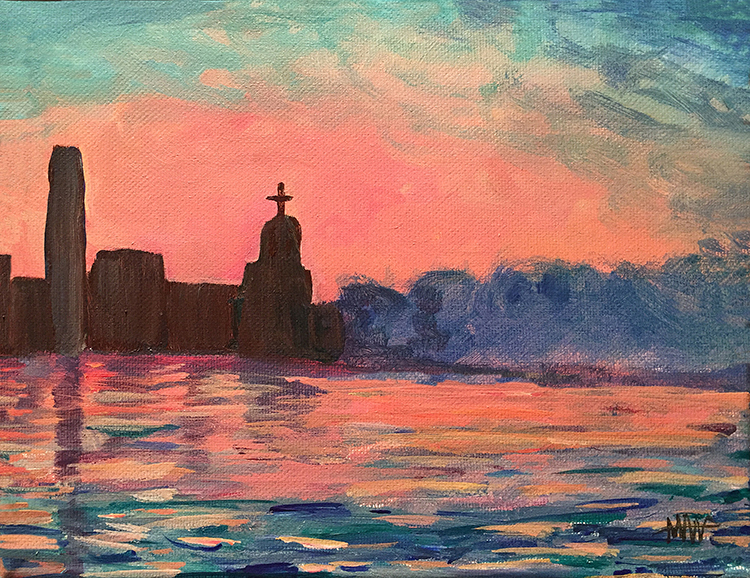 This entry was posted in Impressionist and tagged Art classes, artistic license, Centennial Park, impressionism, impressionist, Nashville, Parthenon, sky. Bookmark the permalink.